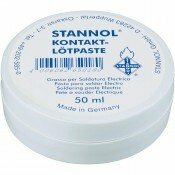 In the 1950s Stannol started to develop products for electrical engineering and later also for the electronics industry. The company is held in high regard by customers worldwide. 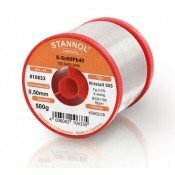 This applies both in the industrial sector as well as for the DIY range because Stannol applies the high quality requirements of our customers to all our products. 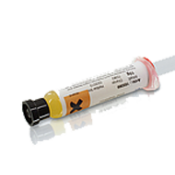 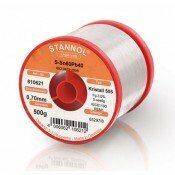 The product range includes solder, soldering wire, solder paste, solder flux, soldering irons and electronically controlled soldering stations and a comprehensive range of accessories. 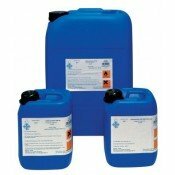 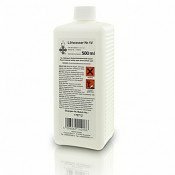 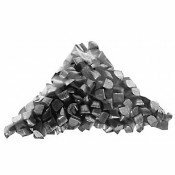 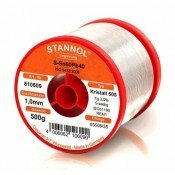 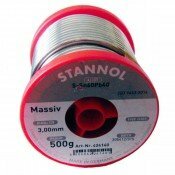 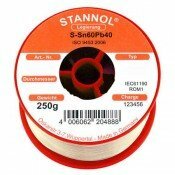 Stannol – when it' about soldering. 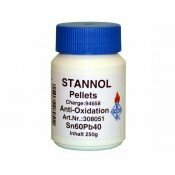 Stannol 60/40 Antioxidation PelletsStannol Anti-Oxidant-Pellets are used to reduce formation of dros..
Stannol 63/37 Solder Pellets 1kg bag Ideal for small solder pots Solder bar chopped to ap..
Stannol Contact Soldering Paste 50gmThe Stannol Contact Soldering Paste is a preparation of activate..
Stannol Liquid Flux EF270 No Clean ORL0 25L DrumNo-clean flux classified as type 2.2.3.A according t..
Stannol Liquid Flux EF270 No Clean ORL0 500mlNo-clean flux classified as type 2.2.3.A according to D..
Stannol Liquid Flux WF300S VOC free, High Activity 10litre drum No Clean Highly eff..
Stannol Liquid Flux WF300S VOC free, High Activity 5litre drum No Clean Highly effe..
Stannol Liquid Flux X33-08i No Clean, Halide Free, Sustained Activity Sustained act..
Stannol Multifix Rework Flux Gel 10ml Stannol Mulifix 450-01 was especially developed for rew..
Stannol SAC305 Lead Free Solder Pellets 1kg Ideal for small solder pots Chopped solder ba..